So far TETCO has created 5 blog entries. Javier Trevino is bringing fresh vision and energy to his new role as President of TETCO, Inc. For 26 years, Javier has proven his leadership abilities and gained the respect of the Turner family and fellow employees. Javier previously served as Senior Vice President of TETCO, Inc. Javier began his career with the TETCO family in 1987 as a staff accountant. From 1989-2001, he served in various roles including the controller for Safeguard Security Group, Safeguard Security Services (Armortex), Tax Assessment & Associates, Computer Design, Inc., Computer Design, LTD, J McDougal’s, Doughnut Express, and currently serves as President of Armortex, Restex Composites Inc., and Majek Boatworks, Inc. In 2001, Javier became the Senior Vice President of TETCO, Inc. He worked in several different leadership roles with responsibilities in wholesale fuel, construction, maintenance and retail store operations. From 2006-2007, Javier led the daily operations for TETCO Stores, which included 160 branded convenience store locations and 9 Wendy’s and 3 Subway fast food store locations. He was involved working with the TETCO acquisition team to acquire DFW Convenience Stores, LP, Walker’s Stores in Utah and D&H Petroleum in El Paso, Texas. 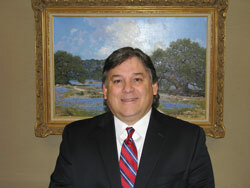 Javier graduated from Southwest Texas State University in 1987 with a BBA in Business and Accounting. He lives in San Antonio with his wife Robin and their three children Morgan, Trenton and Madison. 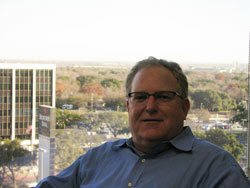 Kyle started with Sigmor in 1982, after graduating from Oklahoma State University with a BS in Accounting. He became a certified public accountant in 1987. 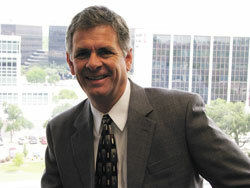 During the years from 1985-1992, Kyle served as the Network Administrator, Controller to Computer Design and the San Antonio Dodgers, (both TETCO subsidiary companies), TETCO’s Corporate Consolidated Tax Acountant, and the Profit Sharing Plan Administrator. From 1993-2012, Kyle was the Assistant Vice President for IT Project Management at TETCO where he managed several large accounting and IT projects. These projects included: installation of a back office reporting system, creation of an in-house Help Desk support system and a Field Technician installation and training staff, and a point of sale system for TETCO Stores. Kyle has several areas of expertise including tax compliance, accounting, vendor management, strategic planning, process analysis and implementation and project management. As the Vice President of Administration at Mission Petroleum Carriers, he will use his expertise to help identify areas of the business that can be improved and will work on helping to facilitate those changes to grow business opportunities. Kyle lives with his wife Jana in League City. They have 3 children in college at Texas State University, the University of Incarnate Word and UTSA. They also have a sophomore at the Design & Technology Academy in San Antonio. Christmas just got a little brighter for Returning Heroes Home as the non-profit organization makes additions to its 6-acre recreational and therapeutic park to serve wounded warriors and their families. 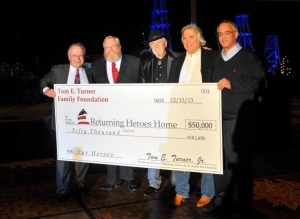 The nonprofit received a $50,000 gift from TETCO and the Tom Turner Family Foundation, which presented the check to Returning Heroes Home on Dec. 14 at the La Cantera Hill Country Resort hotel. To date, TETCO has donated $320,000 to Returning Heroes Home. “The Turner family has always been huge supporters of the military, and we are grateful to our troops who risk their lives every day to ensure that we enjoy peace and freedom at home,” said Jon Turner, TETCO vice chairman. Returning Heroes Home was established in 2007 to provide comfort and support in the best possible healing environment to our nation’s wounded warriors and their families on the long road to recovery. For more information, visit www.returningheroeshome.org. The Recreational and Therapeutic Park at Fort Sam Houston will provide expanded physical therapy opportunities for wounded warriors in recovery by adding numerous outdoor fitness opportunities. It also will offer areas for rest and relaxation, as well as an area for families of the wounded to spend time together in an outdoor setting near their living quarters and in a non-public area to provide privacy during their recovery, among others. Patrick Furlong started working for TETCO, Inc. in October 2013. He has 29 years of experience across various industries in both publicly traded and private growth companies. Patrick attended St. Mary’s University where he graduated with a BBA and he became a certified public accountant in 1986. He began his career with KPMG where he managed various audit engagements in the oil & gas, insurance, banking, real estate, manufacturing and high technology industries. He worked at Ultramar Diamond Shamrock Corporation/Valero Energy Corporation from 1997-2003 as the Assistant Controller of Financial Reporting and Compliance. In 2005, Patrick went to work for Pabst Brewing Company where he served first as Controller and then as Chief Financial Officer until 2007. In late 2007, he was hired by Columbus Oil and Gas, LLC, a privately-held start-up oil and gas company, where he served as Chief Financial Officer. Prior to coming to TETCO, Inc., Patrick was the Chief Financial Officer of Cardell Cabinetry, LLC, the largest privately-held kitchen and bath cabinet manufacturer in the United States. Patrick’s vast experience in corporate finance, accounting, treasury, tax, IT, HR and legal functions will assist TETCO, Inc. in growth for the future. Patrick and his wife Roxane reside in San Antonio and they have four children. Dallas (Aug. 14, 2012) – 7-Eleven, Inc. today announced that it has signed an agreement to acquire the retail and wholesale assets of San Antonio-based TETCO, Inc. The assets include company-operated convenience stores in Utah and the Dallas-Fort Worth, Austin and San Antonio areas of Texas plus fuel distribution to TETCO’s wholesale-distributors. Terms of the deal were not disclosed, and closing is expected in November.The acquisition also signals a return to San Antonio for 7-Eleven, where the company had operated stores until 1989. As part of this purchase, 7- Eleven will acquire TETCO’s motor fuel wholesale business with some 550 customers. “We fully expect to retain and build this wholesale business, as an integral part of our overall growth strategy,” added Reynolds. After the deal closes later this year, 7-Eleven will begin remodeling and rebranding the bulk of these locations. Customers in these areas can expect more outlets for 7-Eleven’s fresh foods delivered daily, hot foods and signature products like 7-Select private brand, 7-Eleven coffee, Big Bite® hot dogs, Slurpee® and Big Gulp® drinks. As the global leader of convenience retailing, 7-Eleven continues to grow its business in the U.S. through traditional store development, business conversions and acquisitions. The company expects to open at least 630 new locations in U.S. and Canada in 2012. Other significant-sized acquisitions 7-Eleven have made in the past year include the 188-store Wilson Farms, Inc. purchase and the 183 sites from ExxonMobil in Florida, both in 2011. 7-Eleven, Inc. is the premier name and largest chain in the convenience retailing industry. Based in Dallas, Texas, 7-Eleven operates, franchises or licenses more than 9,200 7-Eleven® stores in North America. Globally, there are more than 47,600 7-Eleven stores in 16 countries. During 2011, 7-Eleven stores worldwide generated total sales close to $76.6 billion. 7-Eleven has been honored by a number of companies and organizations recently. Accolades include: #2 on Forbes magazine’s 2011 list of Top Franchises for the Money; #3 spot on Entrepreneur magazine’s Franchise 500 list for 2012, #3 in Forbes magazine’s Top 20 Franchises to Start, and #2 in Franchise Times Top 200 Franchise Companies. Hispanic Magazine named 7-Eleven in its Hispanic Corporate Top 100 Companies that provide the most opportunities to Hispanics. 7-Eleven received the 2010 Retailer of the Year honor from PL Buyer because of the company’s private-label brand initiative. 7-Eleven is franchising its stores in the U.S. and expanding through organic growth, acquisitions and its Business Conversion Program. Find out more online at www.7-Eleven.com.